A bomb-laden motorcycle exploded near a police station in Istanbul, injuring five people, including one critically on Thursday, the city’s governor tweeted. According to Istanbul Governor Vasip Sahin, the attack took place in Bahcelievler district, located on the European side of the city. Preliminary reports based on police sources said the blast took place in an area near the Yenibosna police station at around 3.50 p.m. (GMT 1250). 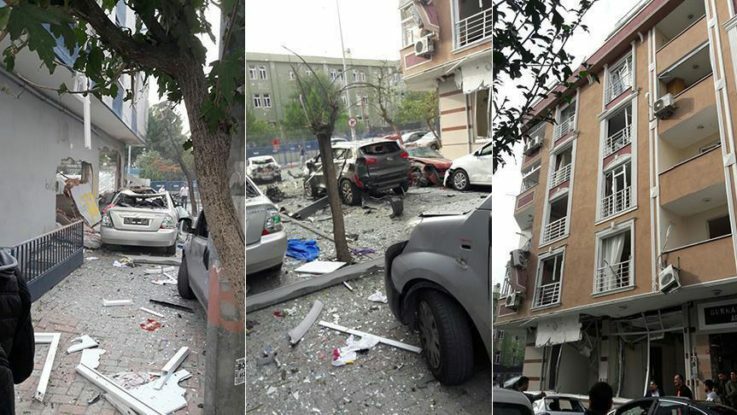 The explosion also damaged nearby cars and broken windows in the densely-populated residential district. Several fire-fighting vehicles and ambulances were seen rushing towards the scene following the incident. Security forces evacuated the area and were said to be on the look out for a suspect across the city. A helicopter is also being used in the search operation.